From the "Puget Sound Business Journal." 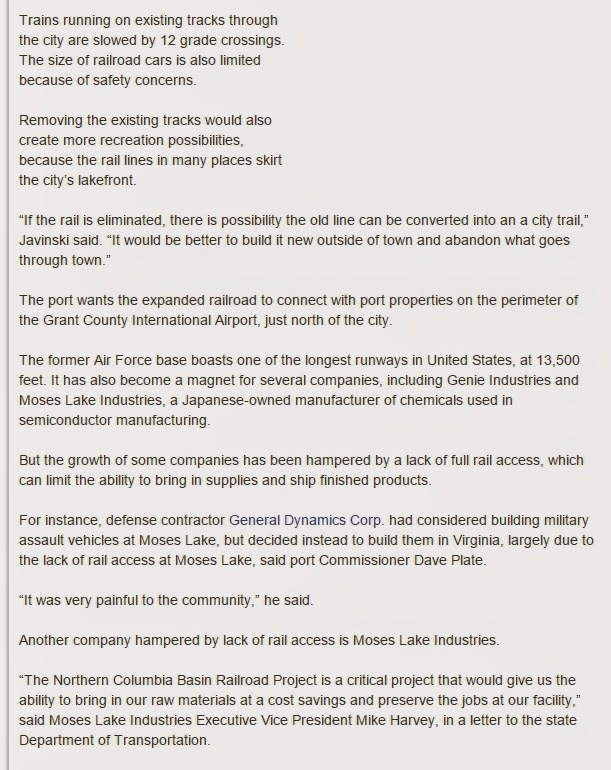 Note that they spelled the Moses Lake city manager name. Last name spelled "Gavinski." It would open up the place to far more business. 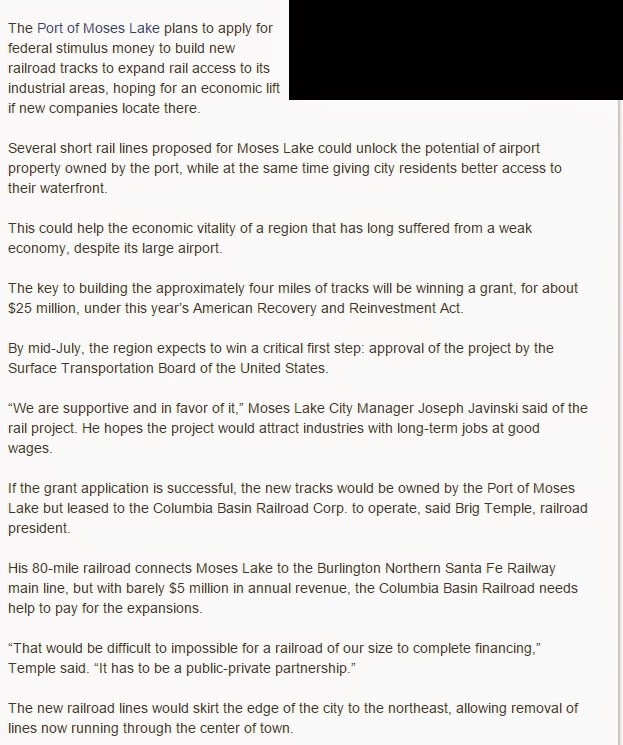 Too bad the Port of Moses Lake has been exceedingly short-sighted in the past in regards to obtaining a separate railroad right-of-way. They could have had the old NP/BN Connell Northern branch to the north of Wheeler for a song when it was abandoned in 1983, and therefore would have had only a short section of track to build to the airport, which already included a bridge over Crab Creek. The land for new construction was far less populated then, and regulations in the early 1980s were far more lax, so they could have gotten all this done with much less hassle than today. Part of the abandoned line I am speaking of was offered to adjoining landowners in the early 1990s, proving that the opportunity to grab it was available for a few years, and not just for a short time.